Filled the tank added salt and let it mix. i have added a powerhead and added live rock. I notice some little crabs sneaking about. Will be adding a few mollies to help with cycle. Looks so cool Good work ! What fish will you add to the tank? This tank is cruising along quite nicely. 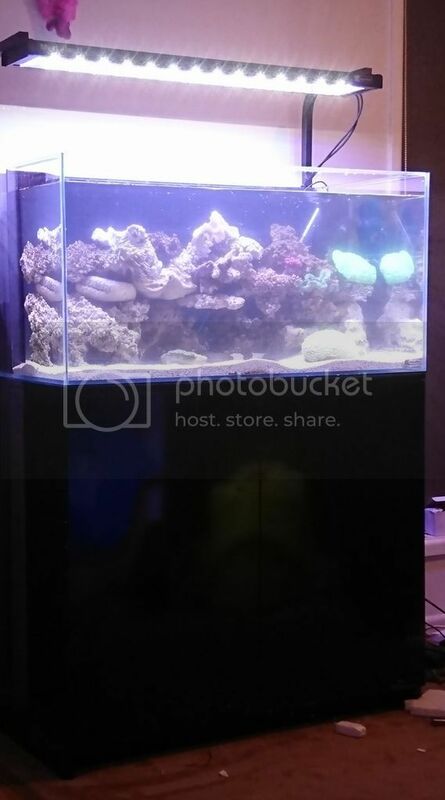 But, lol, I have decided to move all the corals to another tank i now have setup (its not yet ready for the coral move though) The damsels are getting swapped out for different livestock. Last edited by Alasse; 04-06-2017 at 06:20 AM. Nice! Looks lovely as always. I had to head into work today to pick up a new heater and i now get to choose between the one i originally was getting and the brand new model coming.....thinking the new model may be the way i go, it really depends on how it looks, as the one already in store will suit my decor perfectly. 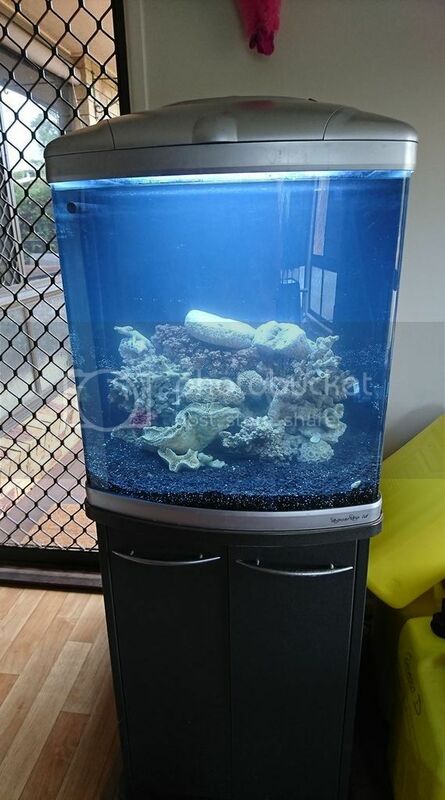 So i am hoping to pick up the new tank today. Also hoping to get it setup and start transferring everything over. Gonna have to buy more salt and RO too i think.